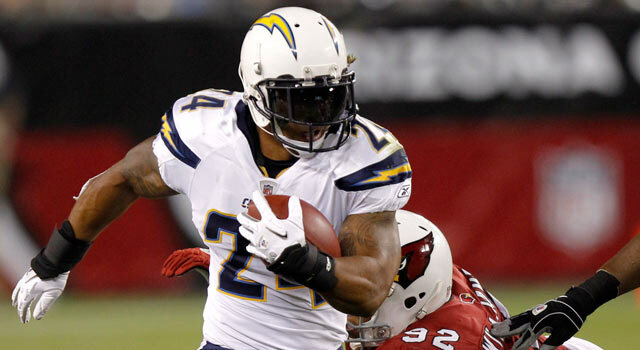 Published: Aug. 31, 2011 at 10:06 a.m.
Chargers RB Ryan Mathews could be in for a big season if he can stay on the field. The NFL is like the music industry, in that a few gifted artists emerge out of nowhere each year. There are always rookies who make their respective teams' general managers look brilliant for selecting them. More notable, though, are the players whose ascension is more of a delayed reaction. It took Seattle Seahawks receiver Mike Williams four teams and the willpower to stay out of the buffet line for him to finally become a player in 2010 -- five years after being selected 10th overall in the 2005 draft. Houston's Arian Foster was buried on the depth chart as the Texans drafted or acquired a steady diet of running backs before he finally got his shot last season, which he turned into an NFL rushing title. » Who will be next 'elite' QB to join list of Super Bowl winners? » Star search: Who will rise from obscurity this season? » Five in, five out: Will NFL playoff parity party continue? 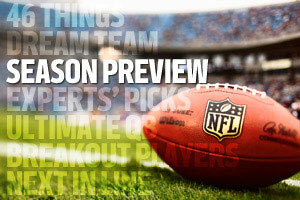 » Who will pick first in the 2012 NFL Draft? There will be more success stories this season and here's a projection of players who could breakout. Some, by virtue of being first-round picks, are expected to pay dividends. However, other players have been living in the shadows and could finally step out into the light. Nate Allen, S, Eagles: The 6-foot-1, 210-pounder was having a strong rookie season (48 tackles, three interceptions, two sacks) before going down late with a knee injury. With a defensive line that should generate even more pressure and the stalwart cornerbacks steering traffic to the middle of the field, the ball-hawking Allen should have a ton of opportunities to make plays. Ryan Mathews, RB, Chargers: Durability is the only thing keeping this 2010 first-round draft pick from being a superstar. He started just nine games as a rookie because of ankle issues but still averaged 4.3 yards per carry and had seven touchdowns. He's looked good this preseason and, if he stays healthy, could be a huge asset to a potent offense. Dez Bryant, WR, Cowboys: When he has the ball in his hands, something special could happen. With his increased role, he'll have ample opportunities to produce big plays. Bryant struggled learning portions of the offense before he got hurt, but he was a rookie. With more experience and a desire to let his play overshadow his questionable off-field decisions, Bryant might end up in the Pro Bowl. Harry Douglas, WR, Falcons: Douglas showed that he is over major 2009 knee surgery when he blew past a slew of Jacksonville defenders on a 76-yard touchdown catch and run. He wasn't nearly as explosive as he recovered last season but quarterback Matt Ryan already loves things in HD (Douglas' nickname). With Roddy White, Julio Jones and Tony Gonzalez occupying the main coverage, Douglas will be open a lot. Tony Moeaki, TE, Chiefs: He started as a rookie and had 47 catches for 556 yards and three touchdowns. Quarterback Matt Cassel told me that Moeaki will have a much bigger role this season. When a QB says that about a receiver, that implies he'll be looking for him. Also, with rookie Jonathan Baldwin out with a broken hand, Moeaki will be the second or third option on a lot of routes.